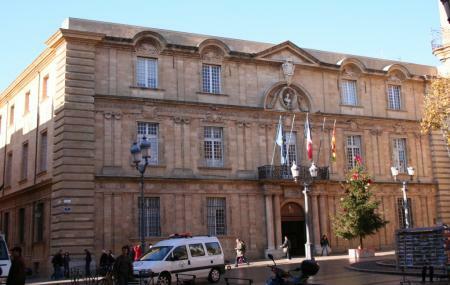 Find hotel near Place De I' Hotel De Vill ..
One of the most popular squares in Aix-en-Provence, this is also the site of the iconic Hotel De Ville. Presenting a great array of architecture, the square is adorned with structures like the town hall, the corn exchange hall and the clock tower. Beautiful private residences are dotted on the eastern side on the square adding to the allure. The square is bustling with a special flower market on Tuesday, Thursday and Saturday. Also, there is an old book fair on the first Sunday of every month. How popular is Place De I' Hotel De Ville? People normally club together Mossy Fountain and Cours Mirabeau while planning their visit to Place De I' Hotel De Ville.